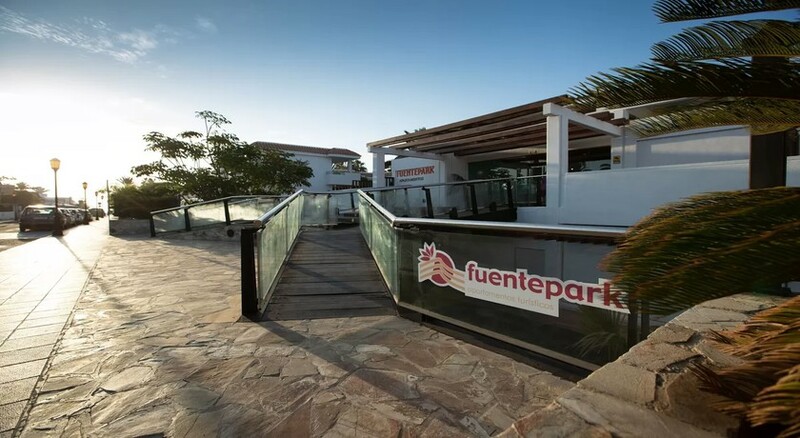 Simple, bright and well equipped, the Apartamentos Fuentepark offers comfortable and affordable accommodation in Corralejo, a pleasant town located north of the island of Fuerteventura. The nearest beach is just 250m away and this serves as a prime location to explore the surrounding area and everything that it has to offer. The rooms have a bedroom and a balcony while the kitchen is fully equipped. Guests can enjoy a splash in the large pool and children’s pool is also present at the property. 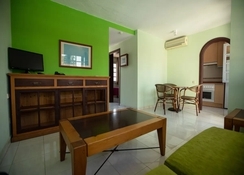 The Apartamentos Fuentepark is best suited towards families with children and couples and they also allow pets. 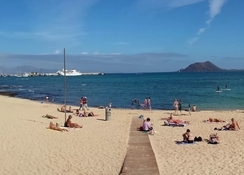 Fuerteventura itself has numerous quiet beaches and crystal clear waters where you can take part in various water sports, such as sailing, diving or fishing and the Apartamentos Fuentepark provide a great starting point to explore the rest of the island. You also receive a welcome drink on arrival. 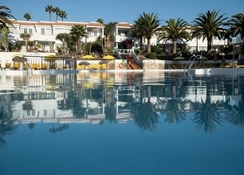 Apartamentos Fuentepark is located in Corralejo, a town in the north of Fuerteventura, which has a peaceful and tranquil vibe. The beaches are extensive and offer crystal clear waters and fine sand. You can enjoy numerous sports here such as sailing, windsurfing, fishing, diving to name but a few. The nearest beach, in fact, is only three minutes’ walk from the apartments. In addition, it is worth spending a whole day having fun at the well-known Aqua Waterpark, which is located five minutes by car. Lovers of 'green' nature have the Natural Park of Corralejo as well and the Fuerteventura Airport is 40km away from the hotel. 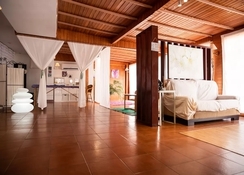 The hotel offers a total of 76 apartments for its guests. The Fuente Park Apartments are decorated in a simple way and with cheerful colors; they are full of natural light and have a balcony. The apartments have a double bedroom, a modern bathroom with a hairdryer and a large mirror and in the kitchen there is a ceramic hob, a sink and a fridge. The living room also has a sofa and a television. The rooms at Apartamentos Fuentepark provide a fully equipped kitchen and allow guests to cook meals of their choice. Additionally, you can head out to explore a number of bars and restaurants to suit your taste. There are plenty of local restaurants, cafes and bars in Corralejo which is just a few minutes’ walk away. Guests at Apartamentos Fuentepark will enjoy a quiet and peaceful vacation in this establishment that has swimming pools - one for adults and one for children- and that allows pets too. The shared areas are landscaped and they grow lush plants that are typical of the area. The Apartamentos Fuentepark also has Wi-Fi access, a range of sandy beaches close by and you can join in on a range of water sports including scuba diving, sailing, and kayaking. Very friendly and helpful staff. Great location. Quiet but still near all the bars, shops, restaurants and beach. All rooms face the pool. Balcony or terrace view. Very clean rooms with all you need in the kitchenette. Easy access for people with mobility problems. Loved it so much, we have booked to return again this June.